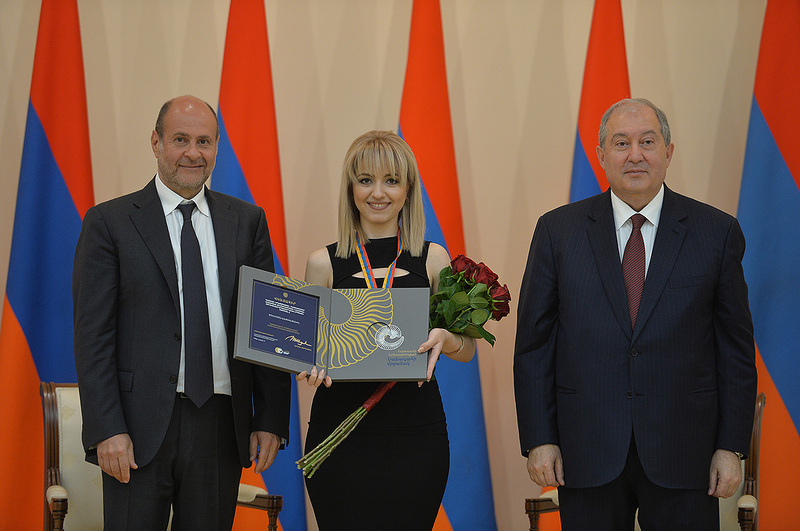 Today, the official ceremony of handing the RA Presidential Awards for year 2017 took place at the Presidential Palace. 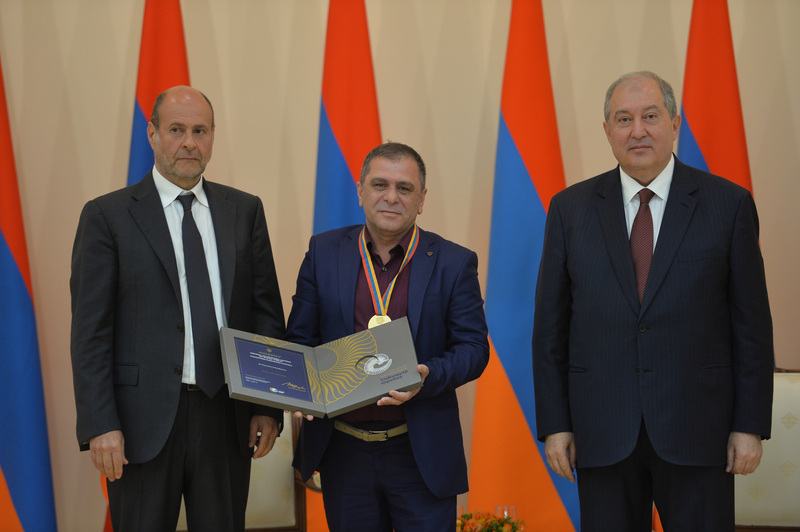 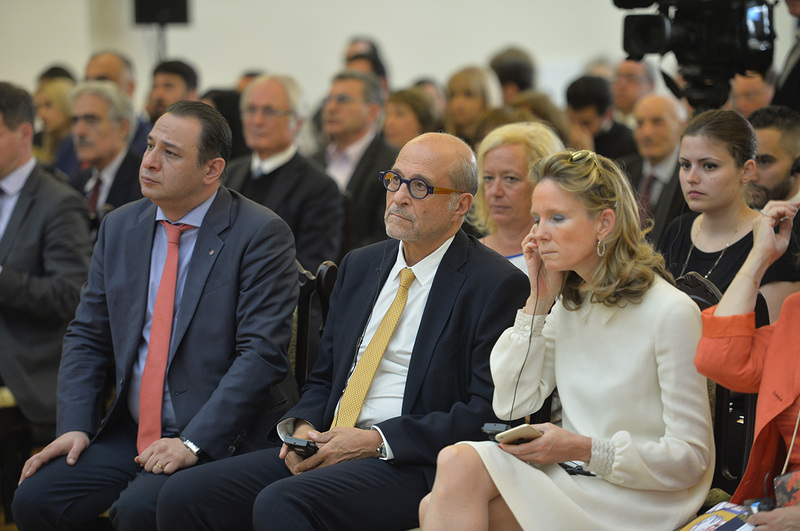 Awards, bestowed on the nominees for their significant contribution in a number of areas, were handed by President Armen Sarkissian and the representative of the Robert Pogossian and Sons Foundation, a benefactor from Diaspora Albert Pogossian. 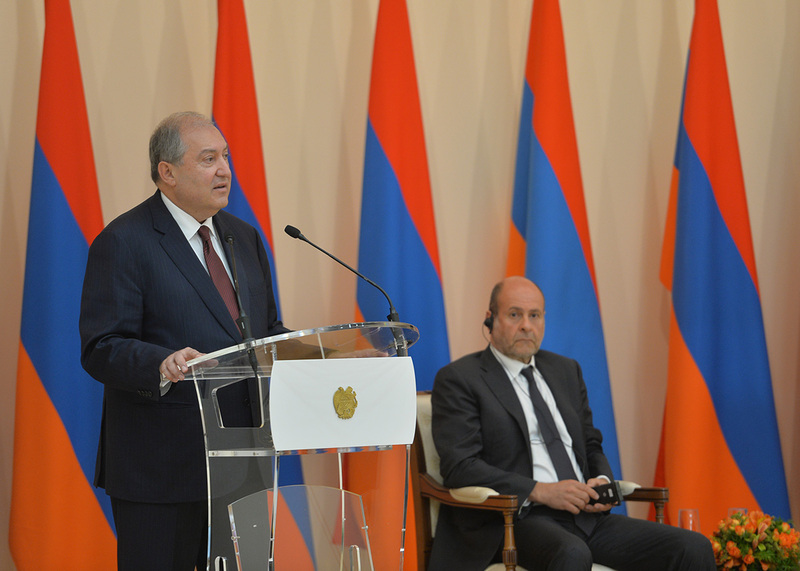 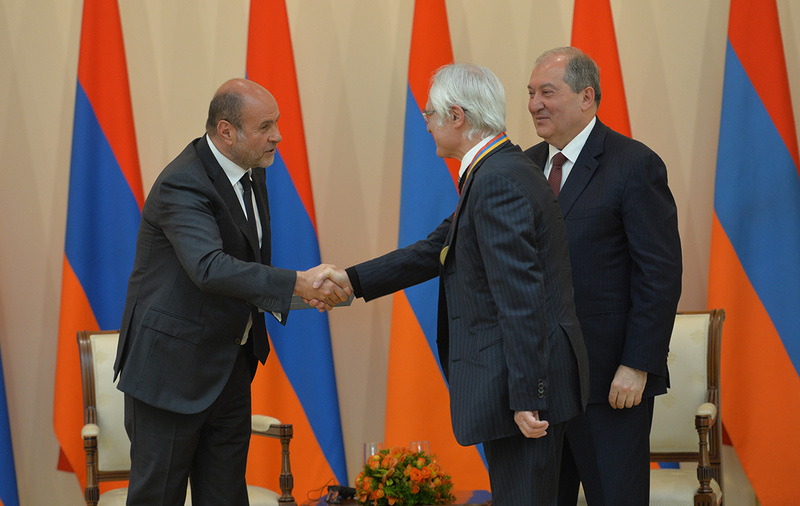 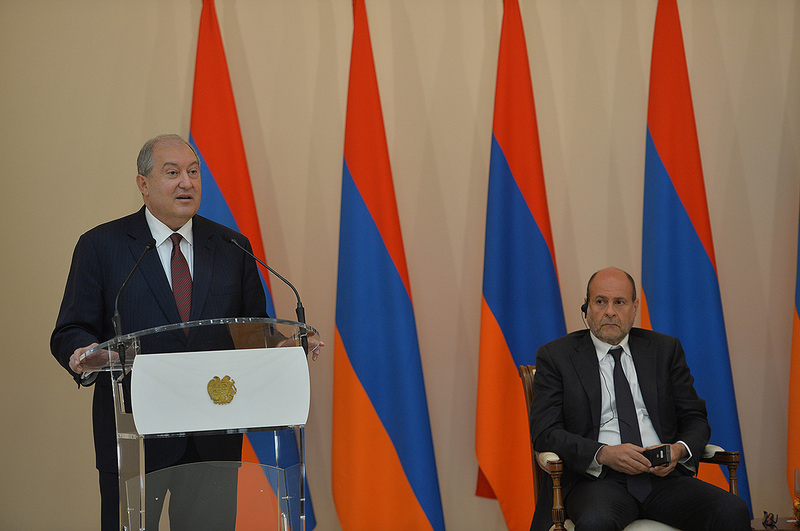 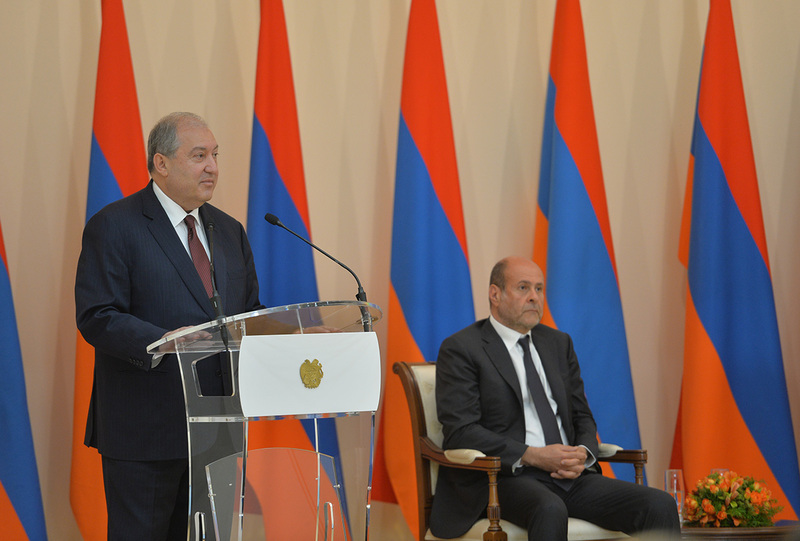 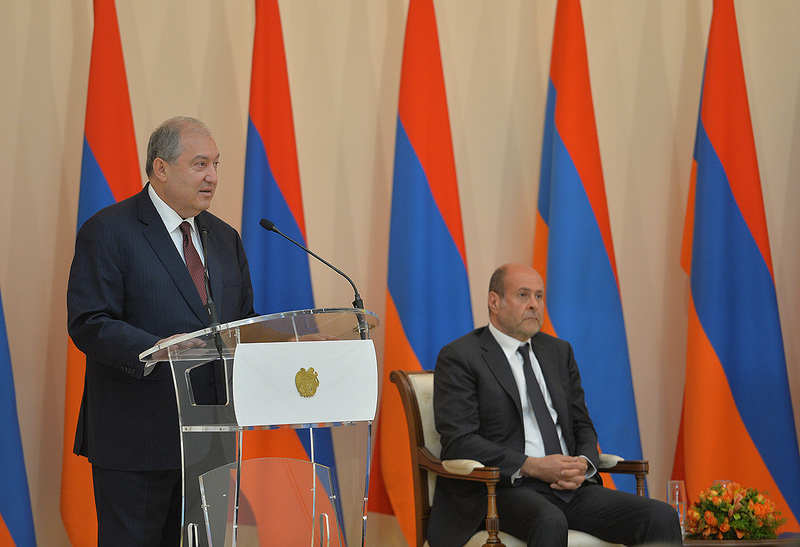 At the outset, President Armen Sarkissian congratulated all those present on the occasion of the centennial of the First Armenian Republic. 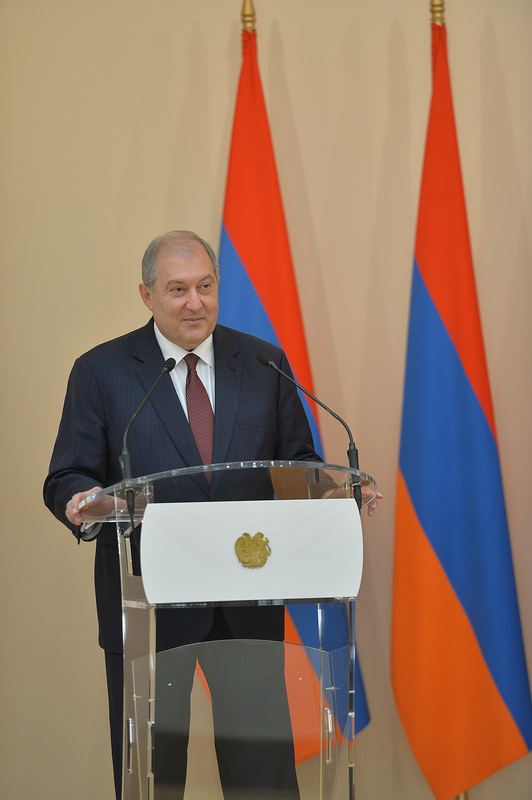 According to the President, the First Republic made possible the reinstitution of our lost and for centuries craved for statehood; at the same time, it became the foundation for the next Armenian Republic. 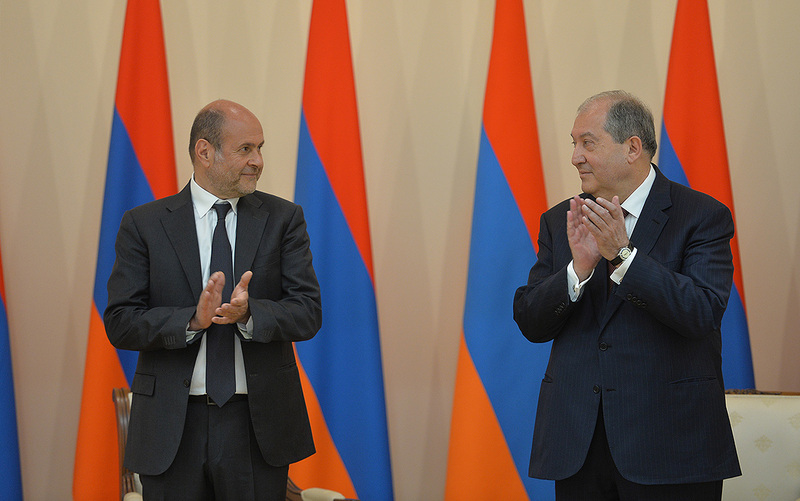 Creation of the Soviet Armenia would be next to impossible without the First Republic. 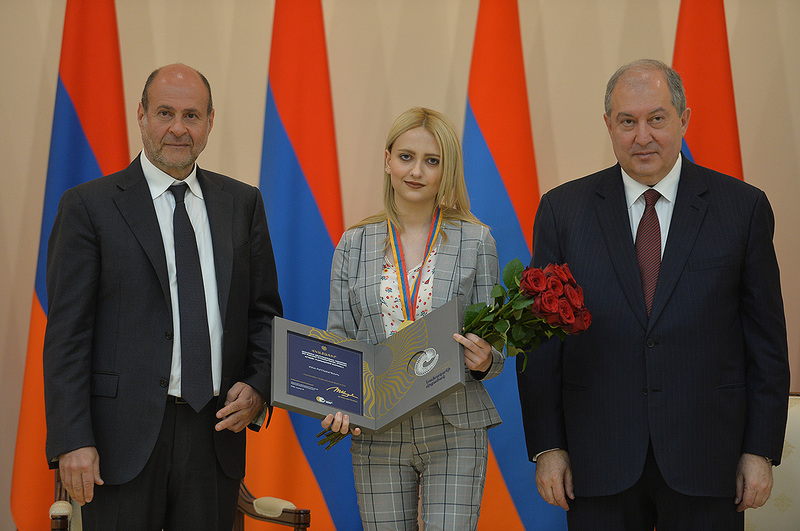 The Second Republic, which registered great success in the areas of economy, science, culture, and education, in its turn had become the basis for the Third Republic. 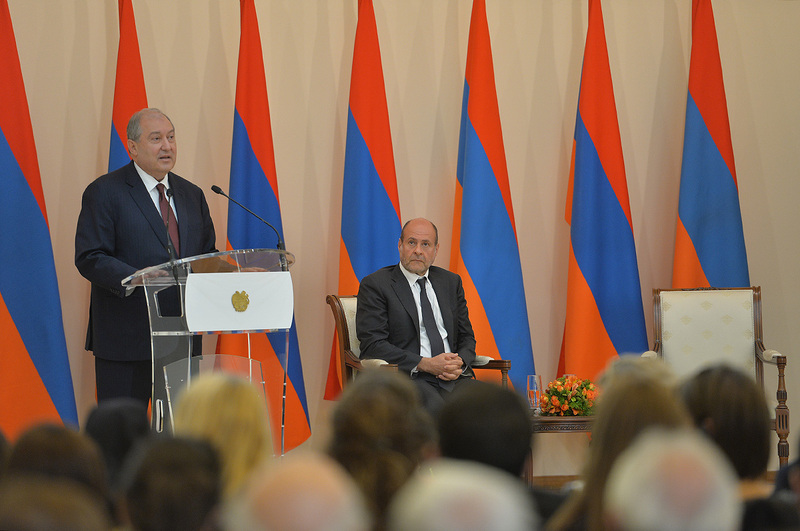 “We are living in the Third Republic which was actually created one hundred years ago,” the President of Armenia said. 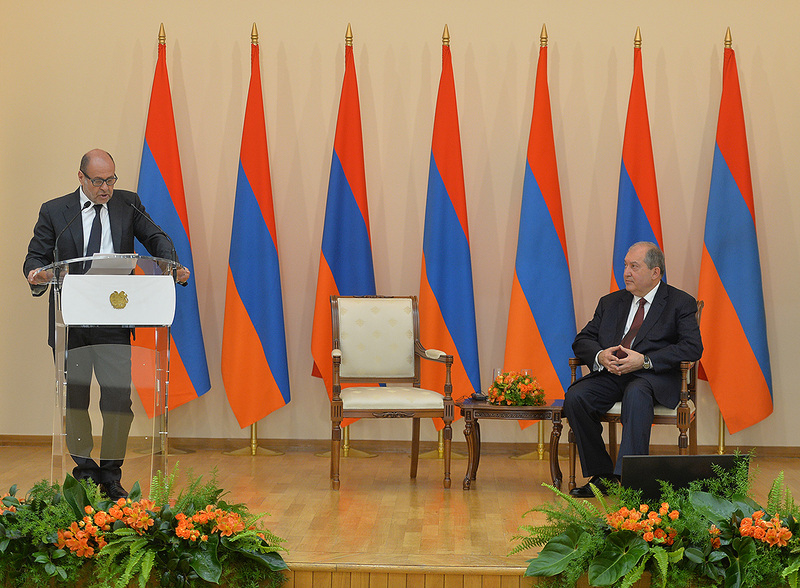 Armen Sarkissian highlighted for the audience three generalized groups of ideas which illustrate the message of the day. 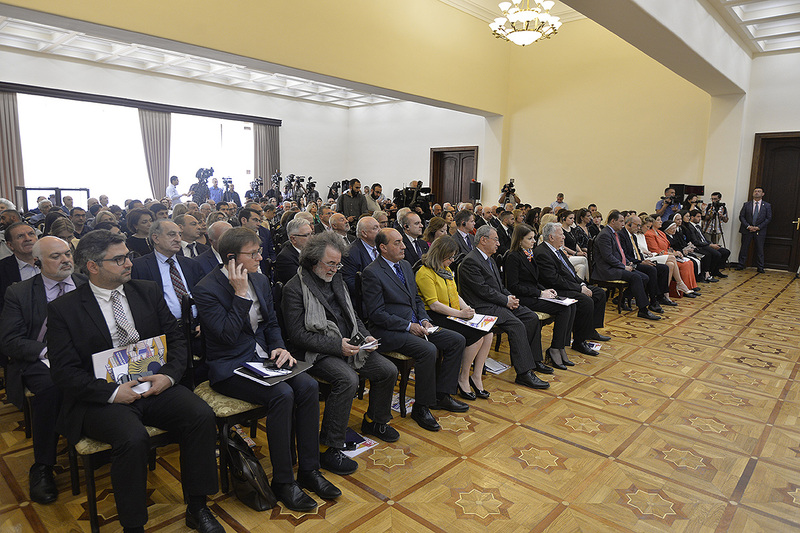 The second group of ideas was provisionally called by the President “Our Security” which includes our border troops and commanders who lead them. 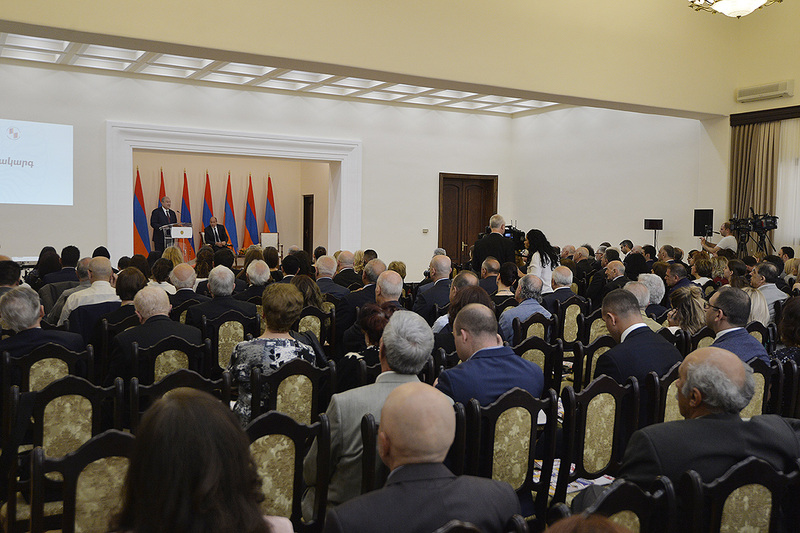 “Our Security” is first and foremost about the security of the Republic of Artsakh and a just resolution of the Artsakh issue. 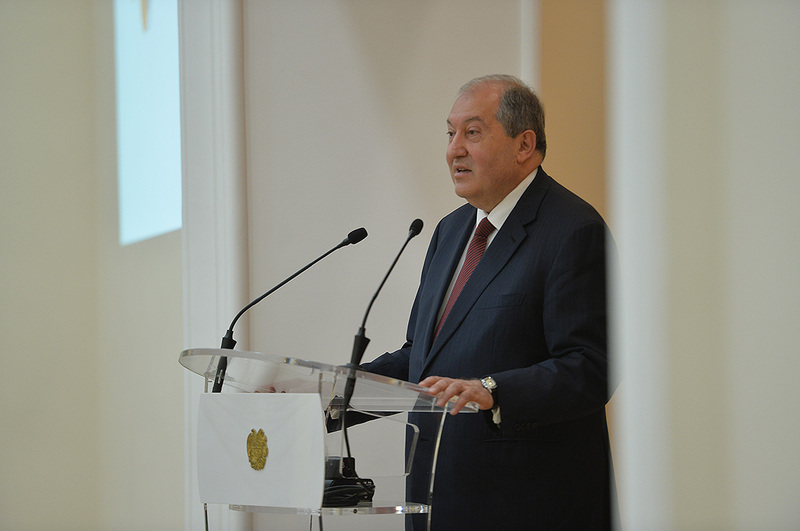 “Our Security” encompassed all our government structures which, according to the Constitution, must provide for our normal life. 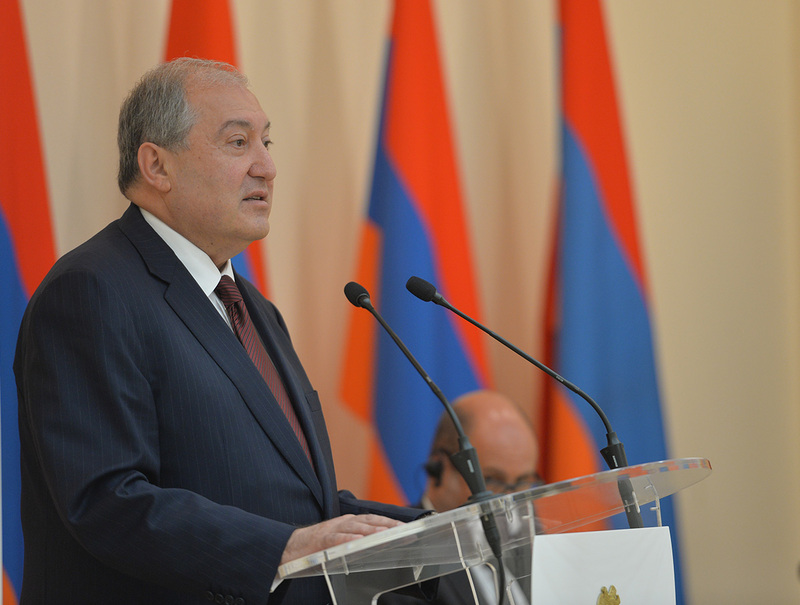 Within the notion of security, Armen Sarkissian highlighted the doctrine which will provide for the country’s future and advancement. 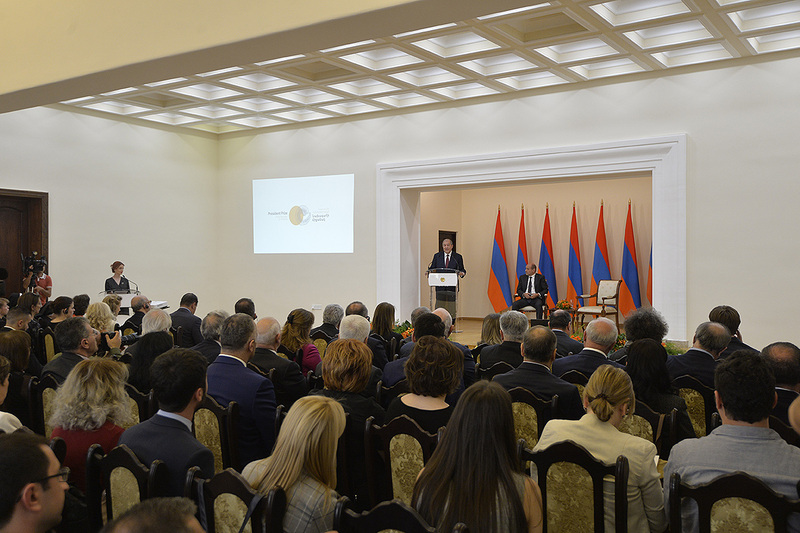 All the ideas and tools which promote Armenia’s international security and existence in the united family of nations, are also included into the “Our Security” notion. 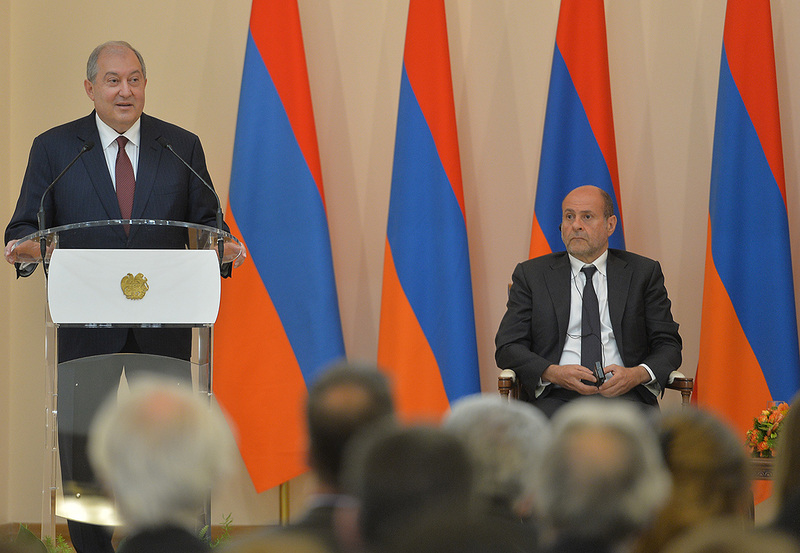 The third provisional group, according to the President, bears the “Our past, present, and future” name. 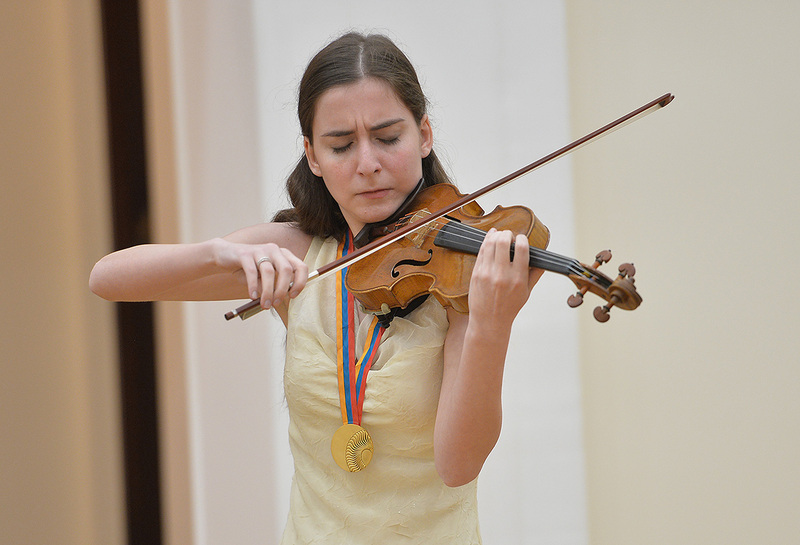 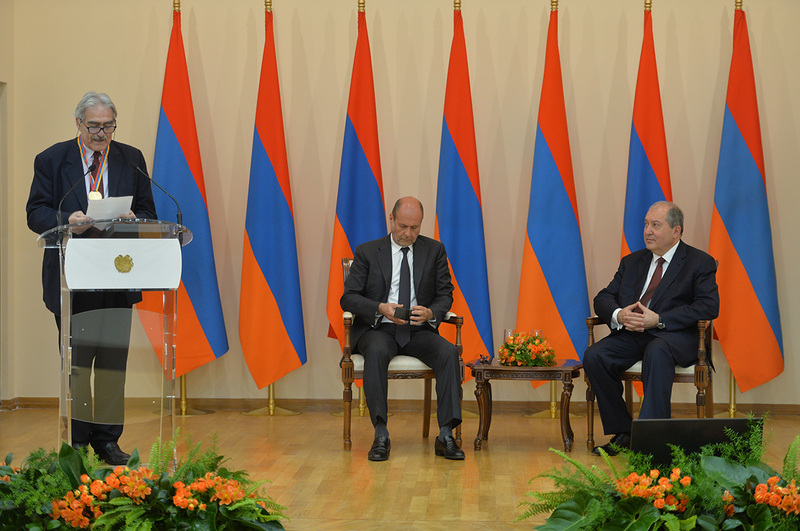 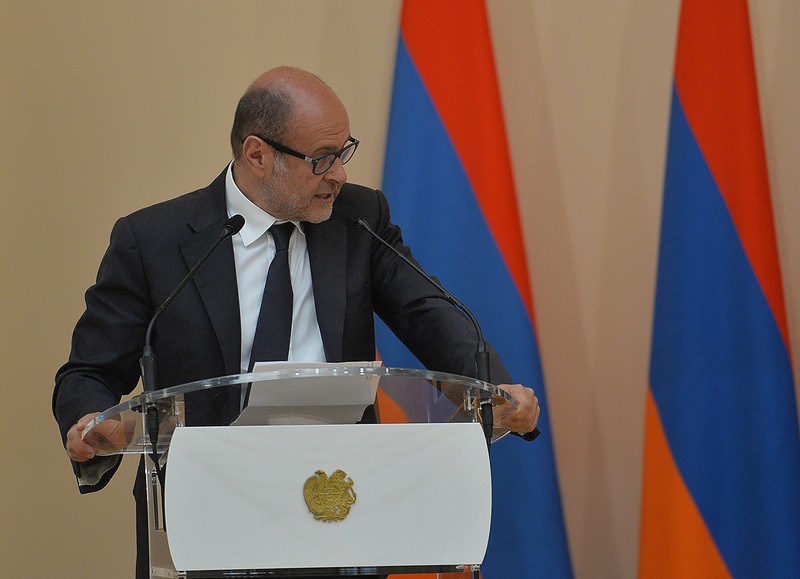 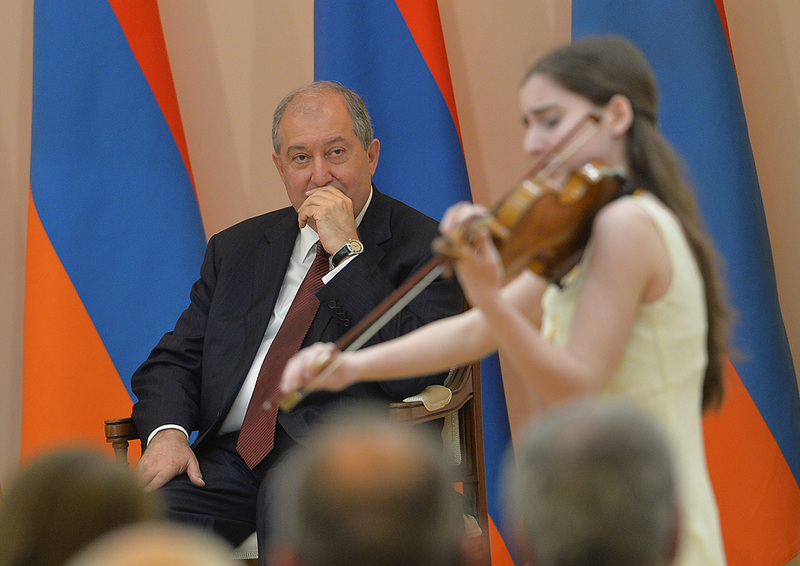 “This group includes our culture, science, and education,” the President of Armenia said. 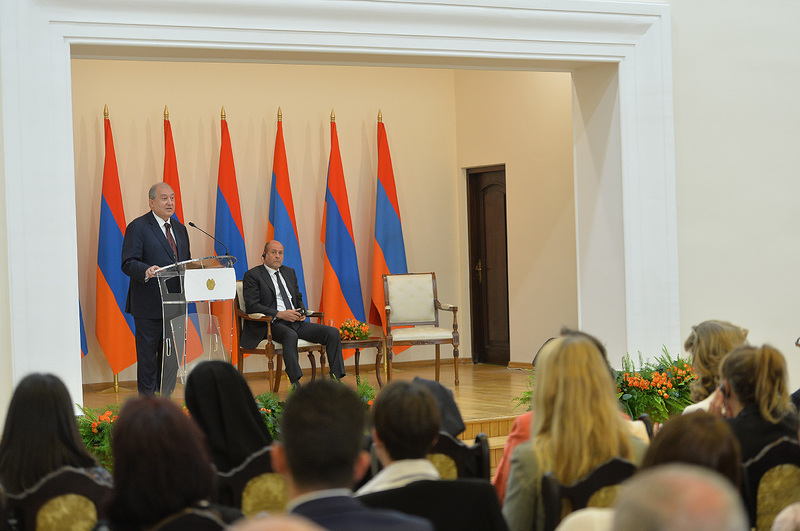 “We were deprived of our statehood for centuries, nevertheless, we were able to exist because we were Armenians not only by origin but also by spirit, because we trusted in God, because we believed that we have a country and our home, because we believed that it was ours, and one day we would return to our Home. 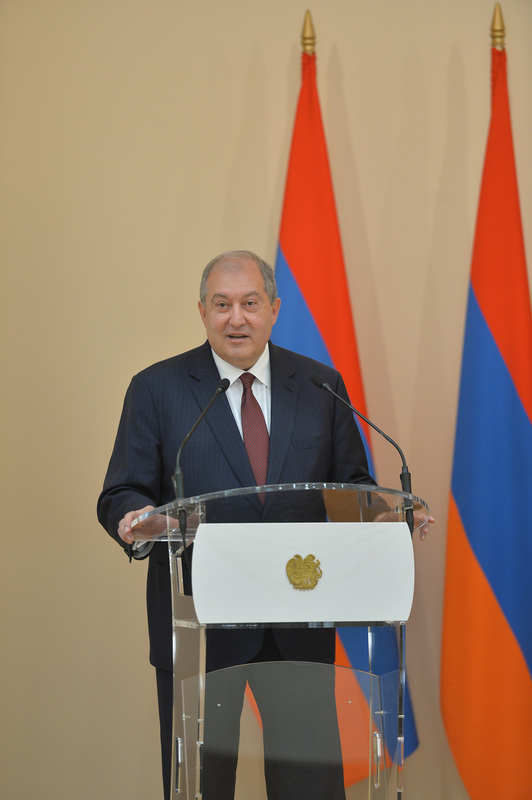 Also because we believed that our security was important and we might have a second Eghern unless we guard it.” Along with our state, faith, and aspirations, the President stressed the importance of good education and culture which constitute great part of our identity. 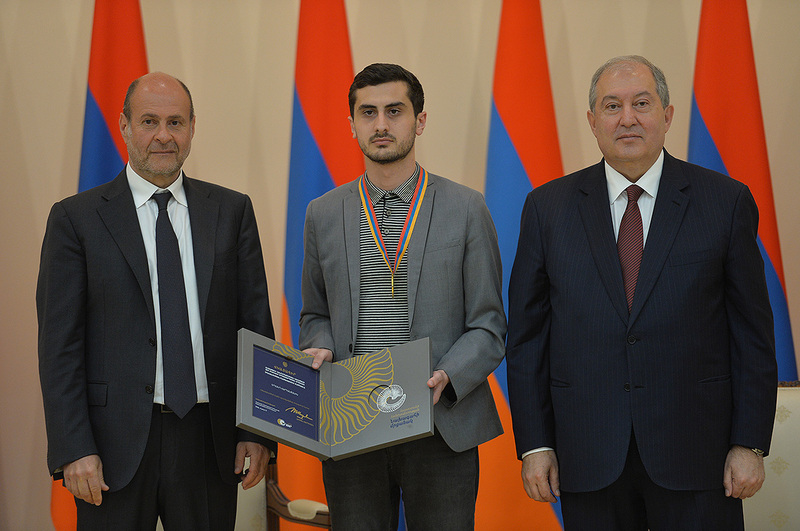 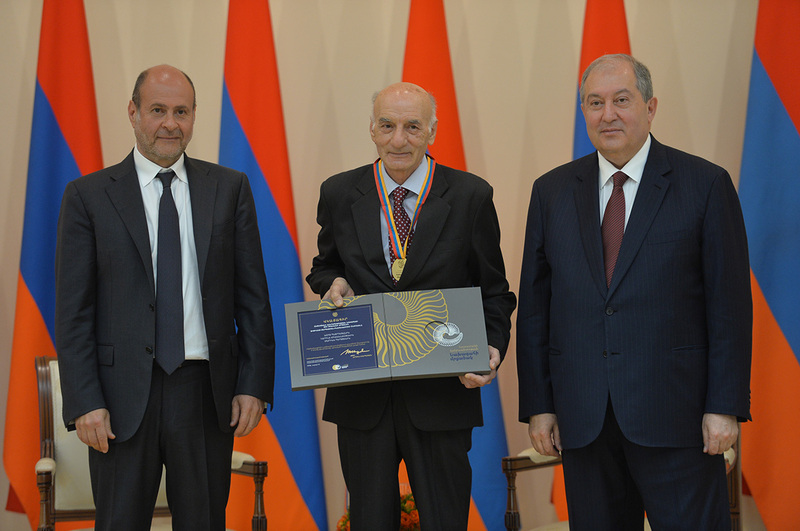 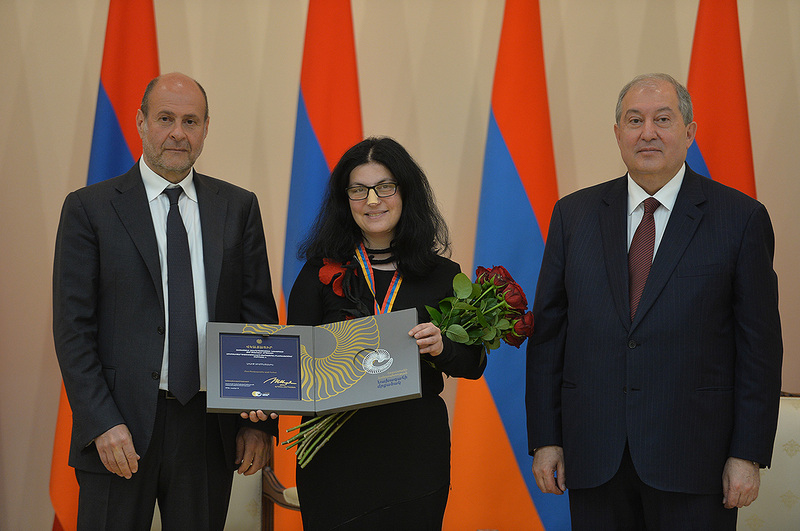 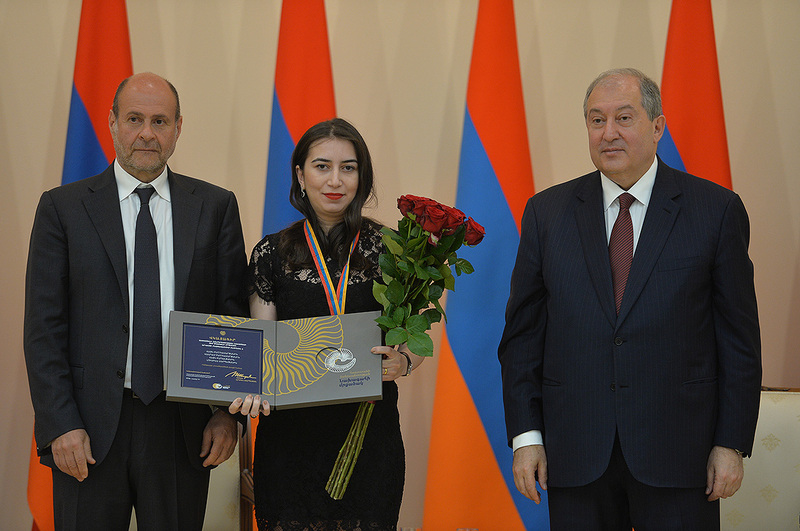 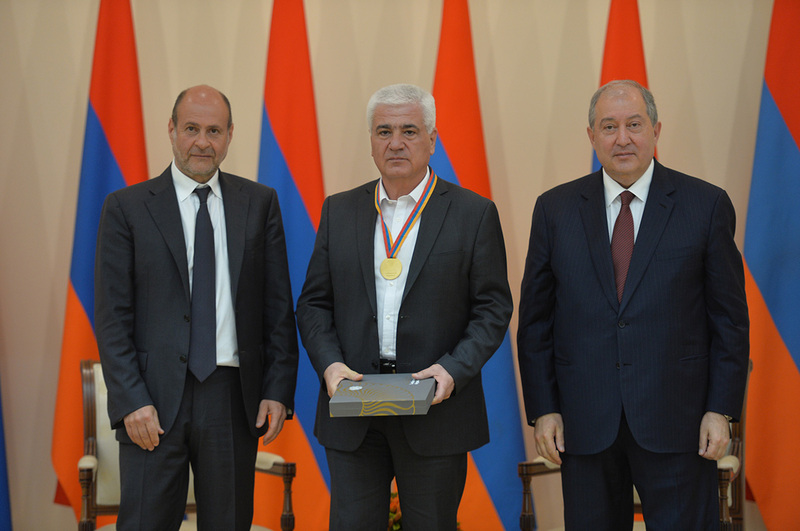 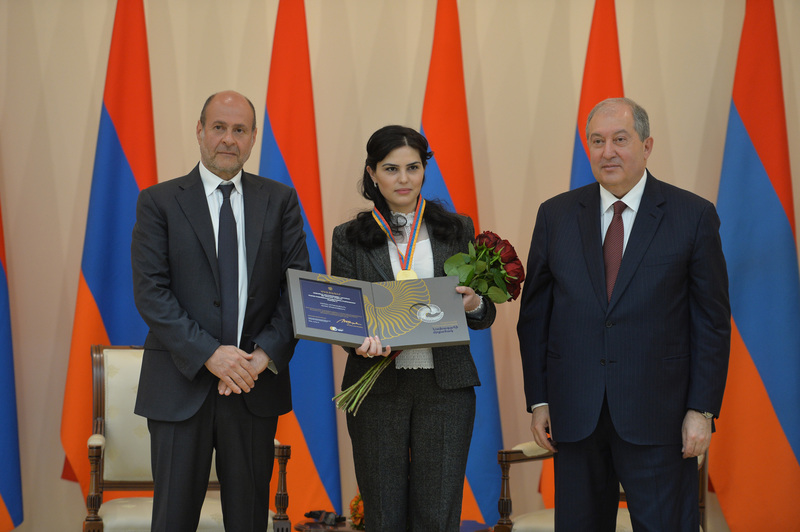 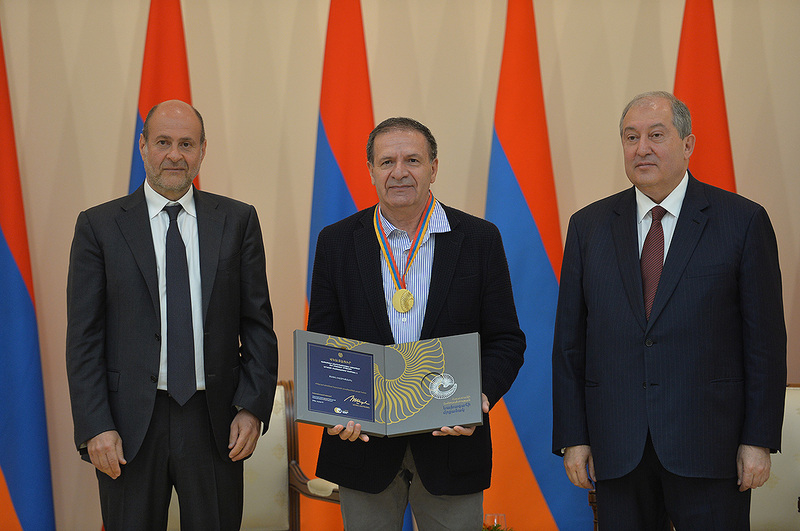 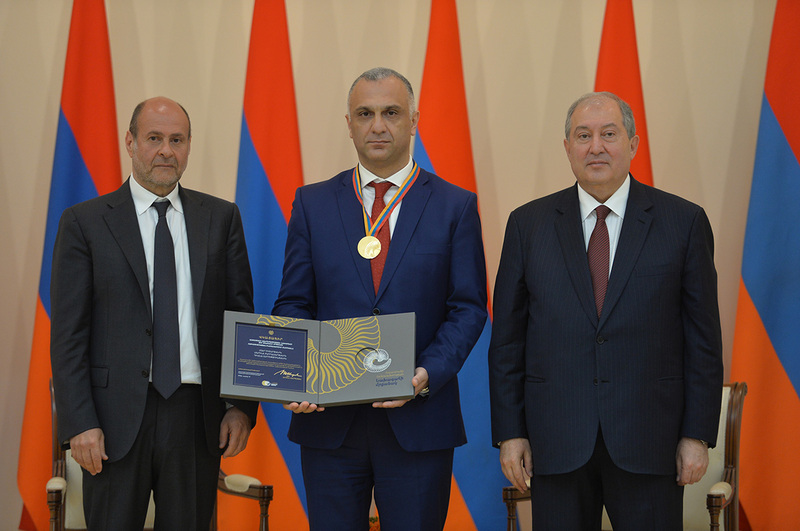 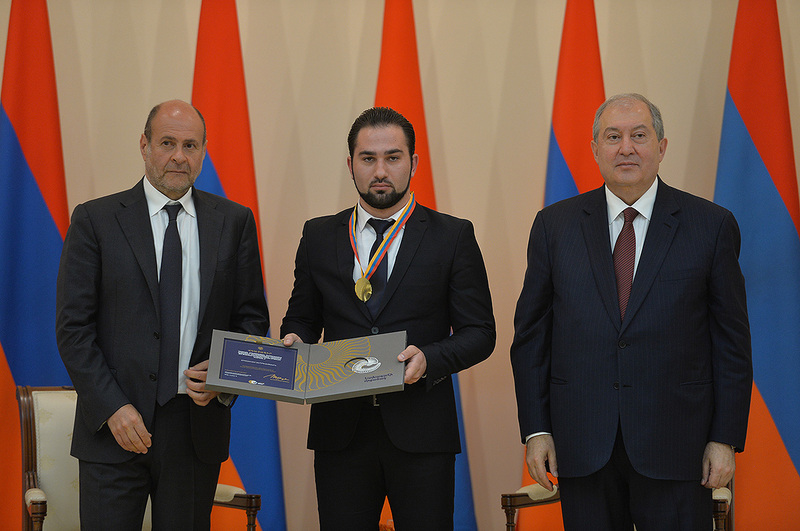 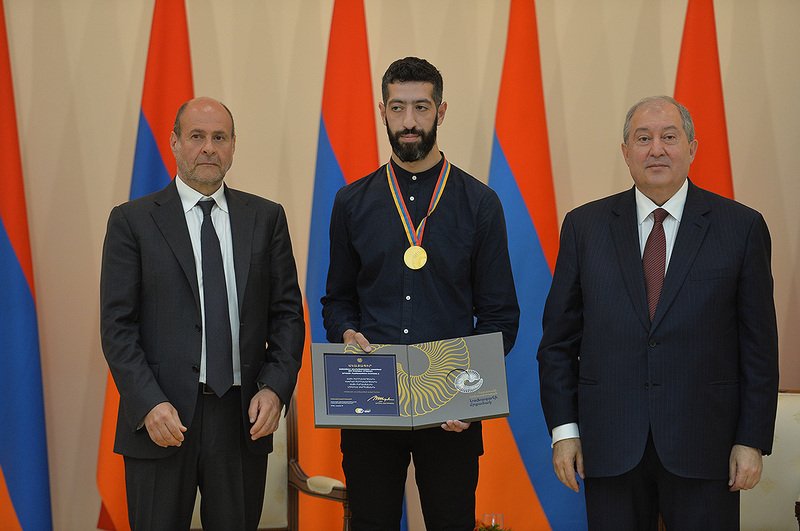 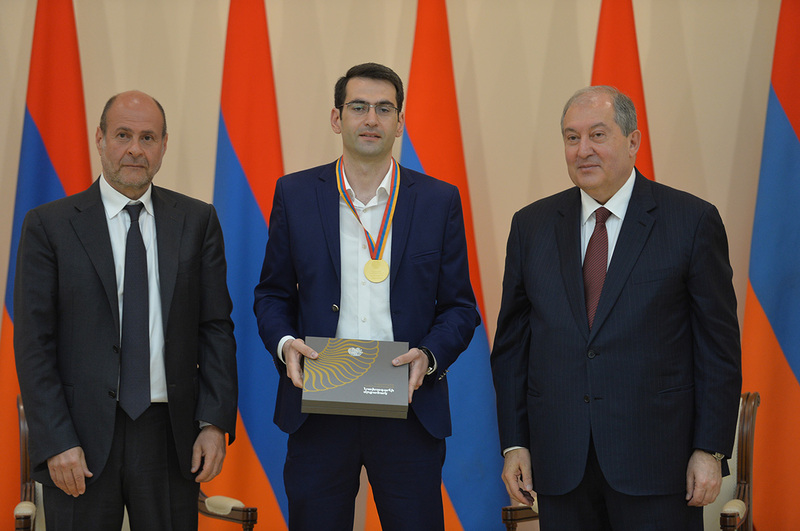 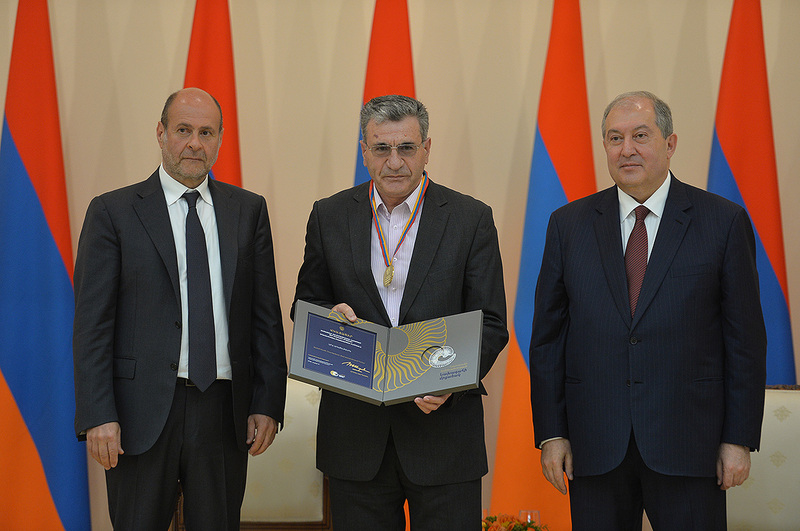 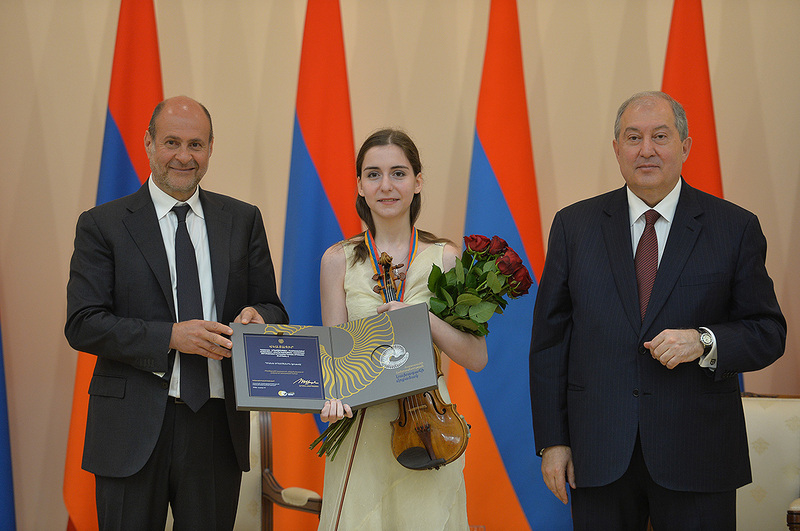 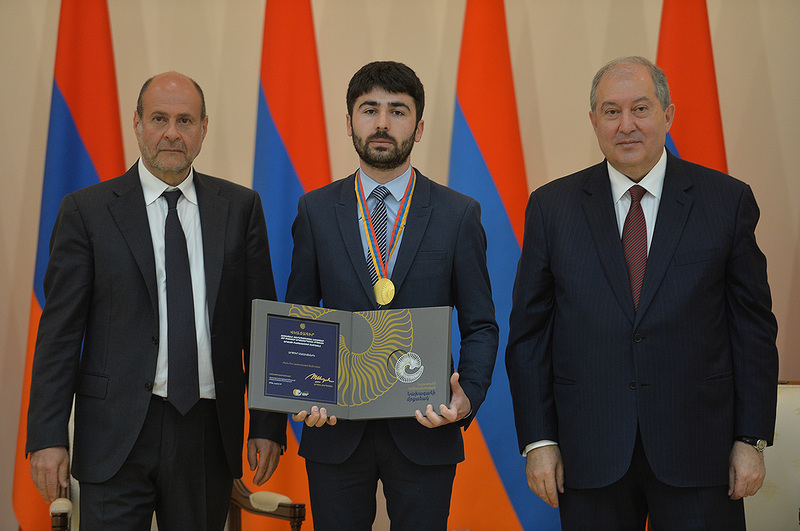 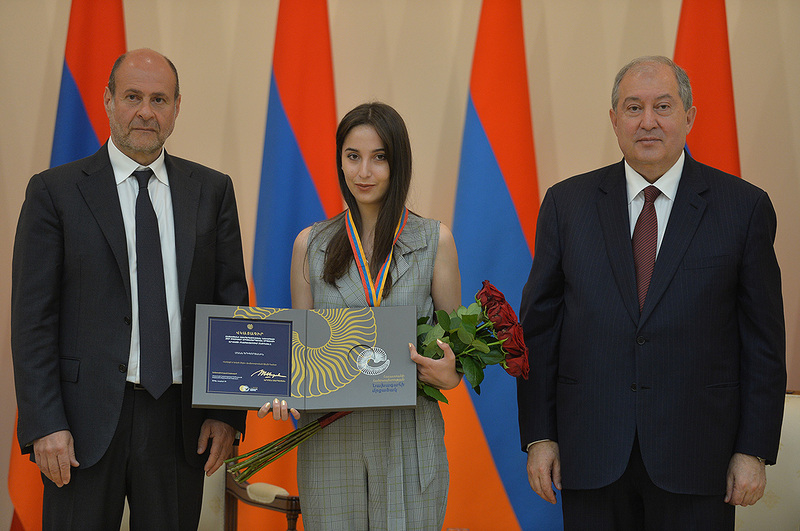 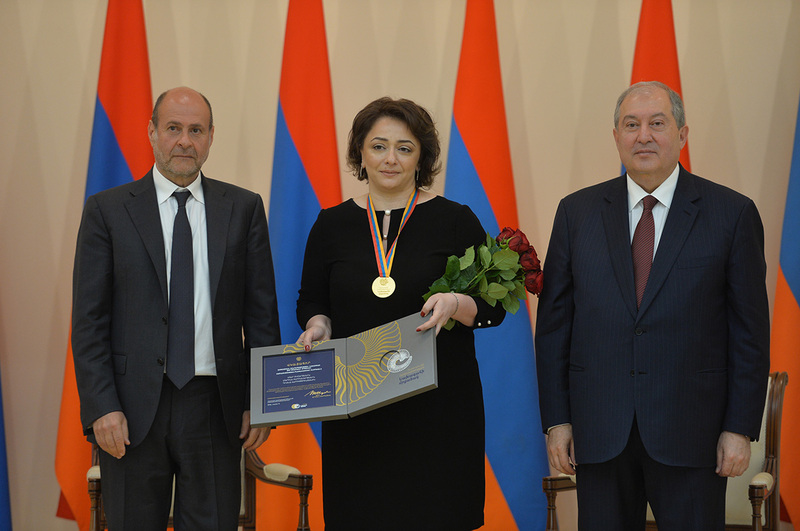 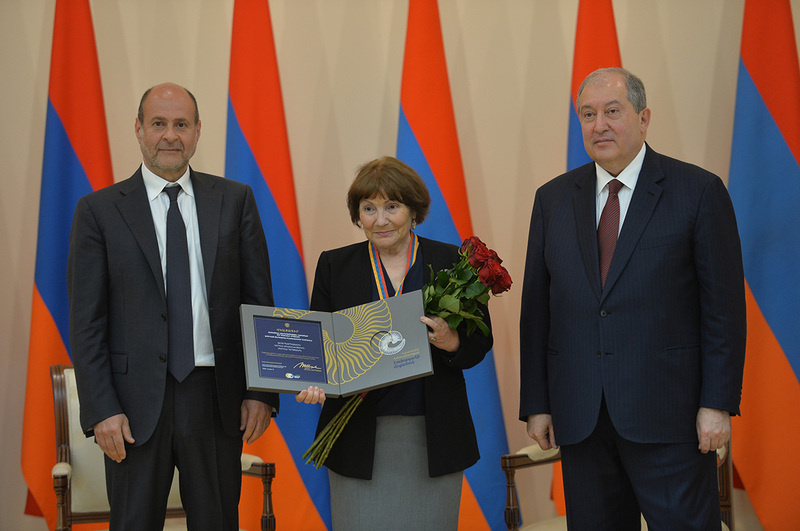 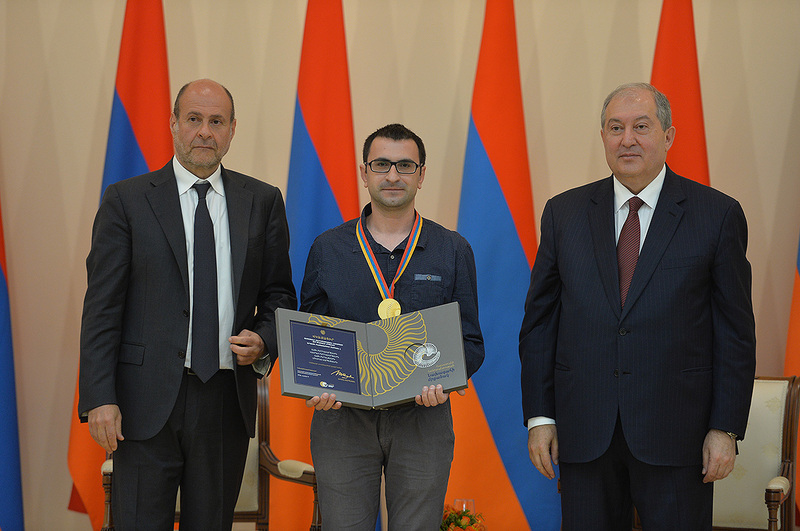 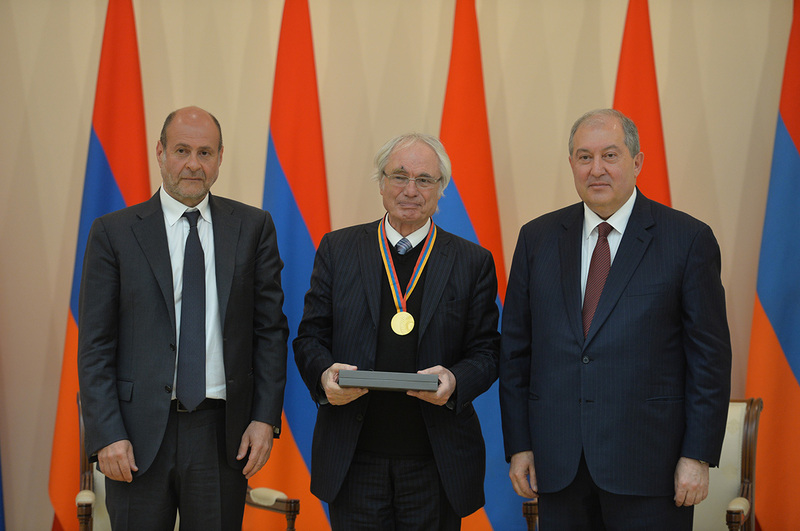 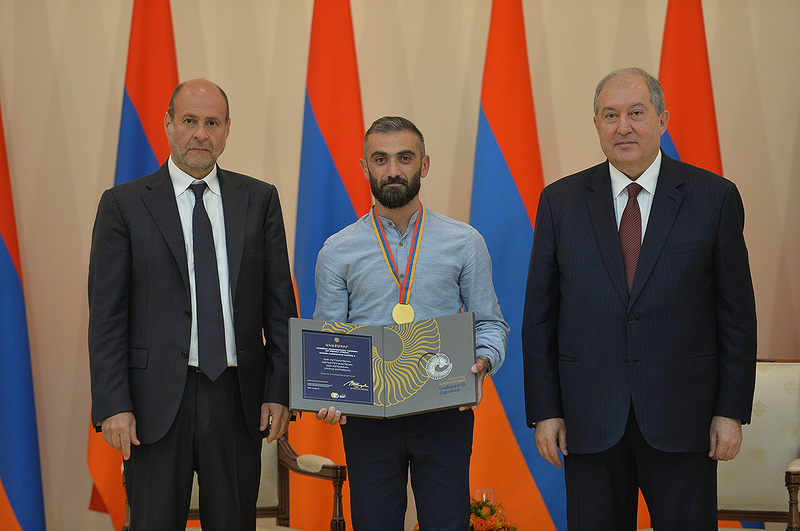 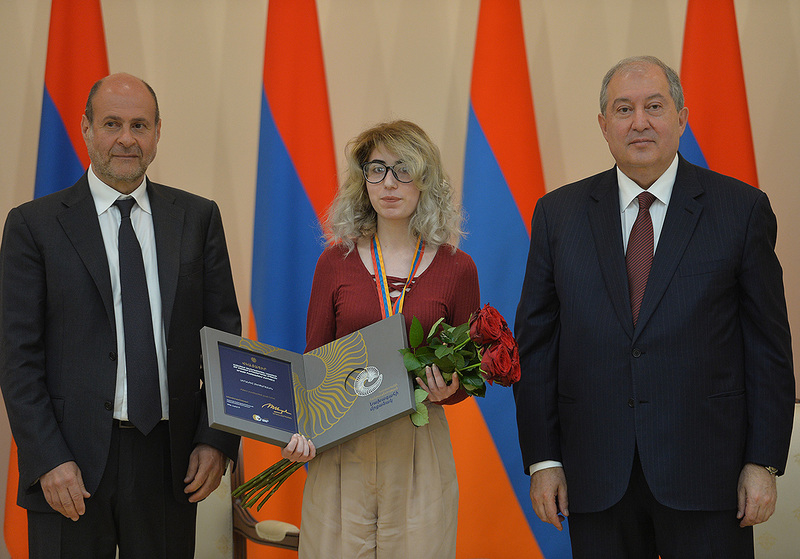 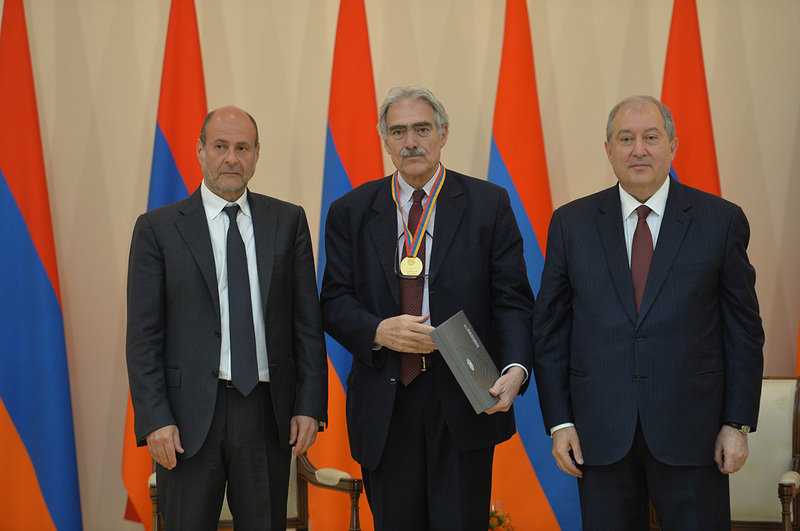 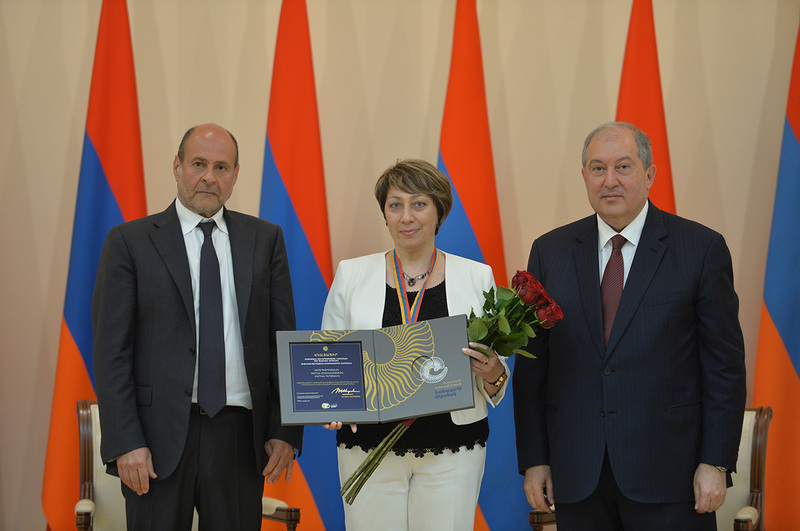 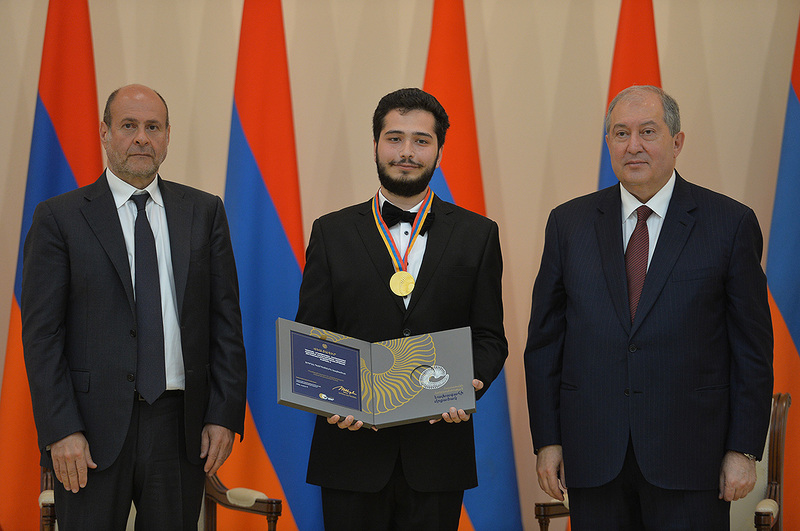 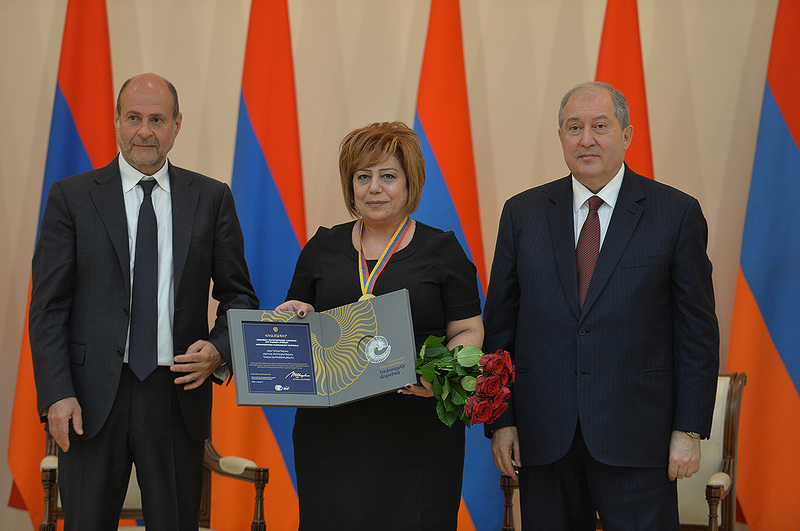 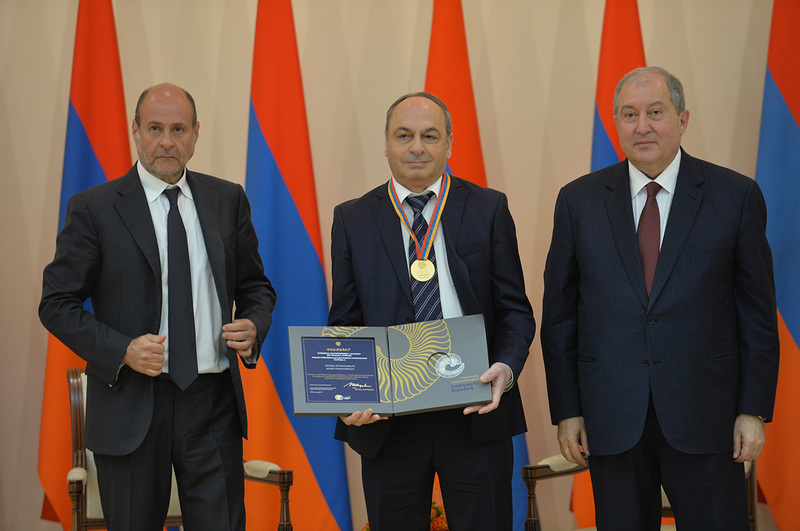 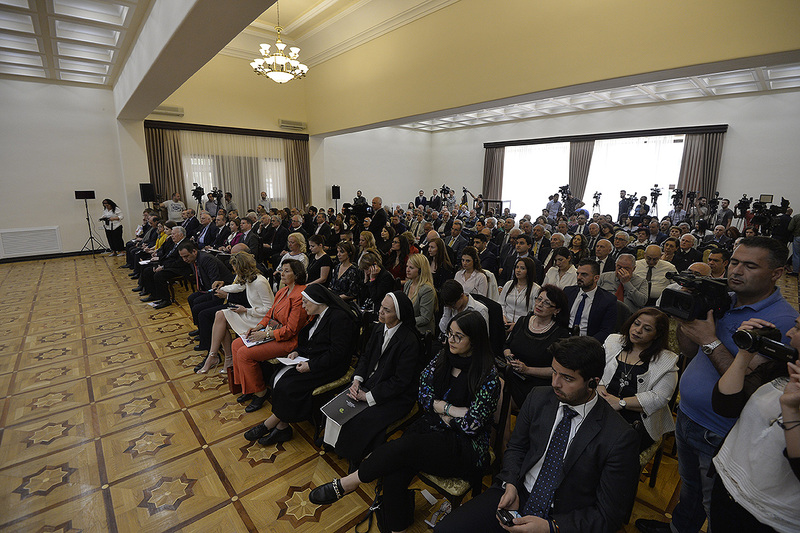 Expressing gratitude to the Pogossian family and personally to Albert Pogossian, as well as to the Hayastan All-Armenian Fund and members of the award committee, President Armen Sarkissian congratulated the awardees and wished them all the best.